The Atiku-Agbaje Media Engagement Network (AAMEN) has accused the All Progressives Congress (APC)-led federal government of illegality and playing politics with its disbursement of N10,000 TraderMoni loans to petty businesses. Describing the gesture as an insult on the sensibility of Nigerians, AAMEN also challenged the federal government to tell the world what the traders could do with N10,000. The AAMEN in a statement by its Executive Secretary, Felix Oboagwina, wondered why the money was being disbursed very close to the 2019 elections if there were no political undertone behind the move. AAMEN said unlike the APC-led government of President Muhammadu Buhari, a PDP government of Atiku Abubakar and Peter Obi possessed the pedigree of tried and tested businessmen and philanthropists to create an enabling environment for small businesses to thrive, flourish and make profit. â€œA government that has increased the pump price of petrol from N85 to N145 per litre, and under which kerosene now sells for N245 up from the 2015 price of N50 is now doling out N10,000 that cannot fill one tank of petrol. What an insult!â€ the statement read. 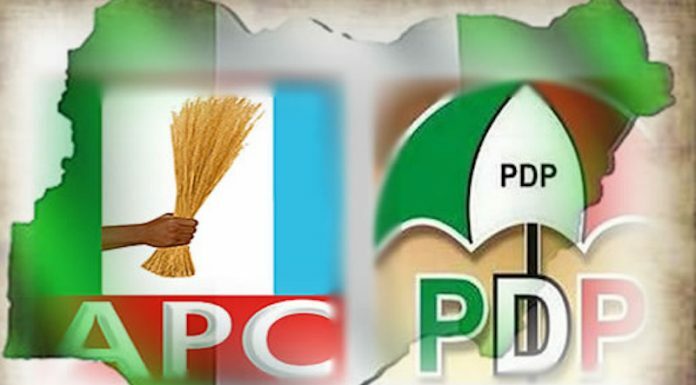 AAMEN accused the government of using public funds to play partisan politics, pointing out that APC candidates in the states were being showcased as they made the rounds of the markets with the vice president. The organisation, also, took exception to the fact that target beneficiaries were being asked to register their PVC numbers, with those who refuse being denied the funds. Oboagwina said the fact that traders actually accepted the amount demonstrated the extent to which the Nigerian citizen had been impoverished and subjugated since the current government took over in 2015. Highlighting the fact that the disbursed sum came from the national treasury, AAMEN urged traders to take the money but vote their conscience. â€œIs it not the height of hypocrisy that a government that has spent its entire lifespan complicating the lives of Nigerians through harsh economic policies has suddenly resorted to issuing a pitiable sum as a palliative measure to small businesses?â€ Oboagwina said. According to AAMEN, it was a pity that the Vice President, a supposed church Pastor and university Professor, has turned himself into the poster boy for this fraud and perfidy.